When I was a child, I spoke as a child, I understood as a child, I thought as a child: but when I became a man, I put away childish things. Throw away the trading cards, the Hello Kitty posters, but always, and I mean always stay true to your childhood exuberance and your imagination. If cards turn into stocks and posters turns into a vast art collection then what really is the difference. The majority of these stories highlight the importance of these aspects in enjoying life, embracing change, establishing hope, poking fun at the ones you love the most and getting revenge on the ones you never really loved at all. In Up On The Roof A grandpa and grandson seem to be on the same wavelength, buddies that like to dream and enjoying their time spent together however short it may end up being. If only they could get the boring father/son out of the way, but hey wearing unmatched shoes may suggest he is turning the corner. In Straw Ponies debts of gratitude prove to be a lifelong endeavour. And when you happen to be a beautiful, blue-eyed, fair-skin young lady that saves the life of an Arapaho tribesman as well as locating the whereabouts of one of their young, between the young lady and the tribesman it might be best to keep things on the "QT". In Poppies For Zaneta- a young widow is finally at peace after twenty-three years of marriage to a physically abusive, alcoholic, gambling man twenty years her senior. She is under the impression that being a Polish immigrant it is advised to go about her daily responsibilities without raising much of a stink. Lucky for her the best thing her husband had done for her happened while she was putting him in the grave. In Bald Revelations at the first sign of change a wife reveals her insecurities and let's her suspicious nature run wild. For some people the presence of change keeps things fresh, it doesn't always have to be regarded with negativity, and "hey" you may end up learning something from it. In The Amulet- Greta Nielson is in search of a special emblem to commemorate her Inuit heritage, thwart evil spirits, but most importantly placate her grandmother. Greta's penny-pinching partner is persuasive against shelling out the amount suggested but a flea market wall flower waxes poetic on what must be done. Recycling Kyle- Is a story of a young adult living at a life's dead end, living a deprived life supporting a stepfather that could care less about anything but drinking and gambling. Being uneducated leaves Kyle in a lose-lose situation with little chance to escape, but a letter of hope may change life's course. The Wedding- Is a true testament to the saying; "keep your friends close but your enemies closer." An odd wedding, leads to an odd array of guests, a presumptuous new husband leads to unbelievable cunning from an ex-wife and one hell of a wedding gift that I am sure was not on the registry.Computer Junkie- Highlights an over-indulgent "techie" husband who takes it upon himself to help modernize his wife's new found business. When the power of the Internet in conjunction with word-of-mouth(or keyboard) spreads like wildfire, demand begins to far exceed supply and the willingness to accommodate the need lessens. I guess it pays to know your limitations. Winging It- Proves it is better to believe in something than nothing at all. 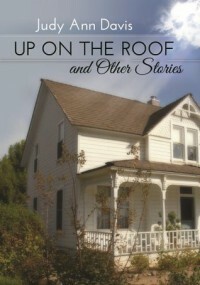 Adding It All Up- Is a story of "broken" home deciding that maybe it's best to keep it as it lays. When a family can now breathe easy, stop and smell the roses, let the weeds grow, sing hakuna matata and enjoy their lives on their own terms away from expectations. Rocking The Boat- Describes what happens in a battle where the most stubborn survives and a man's man is taught a valuable lesson into the many functions of woman's beauty products. Flight Of A Frenzied Housewife- Is about a woman desperately wanting to escape the modern soccer mom chores ends up being a mom-like figure for a an executive male. Who knew that getting a job after all these years was such hard work and cost so much money? Trapped- A man doing his best to keep the memories of his dead wife alive is stuck in a vicious cycle that comes about every Spring and frantically never goes away. Best Friends- Space gradually distances between friends as they embark on their lives as career woman and become more in tuned with their values in life. Rather than resisting the changes embrace the peculiarities that people can bring. The Bellhop And The Poet- Shows that arguing with reason is surely a lesson in futility. A naive artist with a perseverance to channel her creativity and poetic flair resists the 9-5 and must control her own fate, at the behest of her boyfriend. Temporary Mom- Fearing the unknown, embracing the whirlwind children bring, gaining a clearer perspective, missing the noise, becoming a true part of a shared family, and holding the honour of temporary mom with the highest regard. Collecting Junk- Like male-pattern baldness some genetic traits just seem to skip generations. Is it resourcefulness or disorganization? Is it appreciation or disparagement? The question is yours. True Colors- Living a life of solitude is much more enjoyable when you are joined in solidarity with someone who wants the same things as well. Holiday Bonding- Through the course of a lifetime Christmas tends to take on a different look, but does it have to take on a different feel as well? As you long for what it once was you learn to go out of your comfort zone to make it what you want it to be, whether it be with close friends or complete strangers. The Wedding and Holiday Bonding were my favourites of the bunch but the rest are solid and make up a great collection of stories.